Black Friday is over and now it is Cyber Monday. A new day with new opportunities. It`s Cyber Monday shopping for consumers to shop online, but it seems like it is Cyber Monday shopping on Wall Street too. The Dow is up a whopping 373 pints amid expectations for a historic Cyber Monday. Nasdaq jumped 2,30 percent and ended at 6,677,26. I talked about the declining SPDR S&P Retail ETF on Friday last week, but it bounced back on Monday, up nearly 2 percent. The shares of retailers rose on Monday after last week`s sell off. According to Adobe analytics, Cyber Monday spending is seen reaching an all-time high of $7,25 billion in the United States, and that will mark a historic day for online shopping. 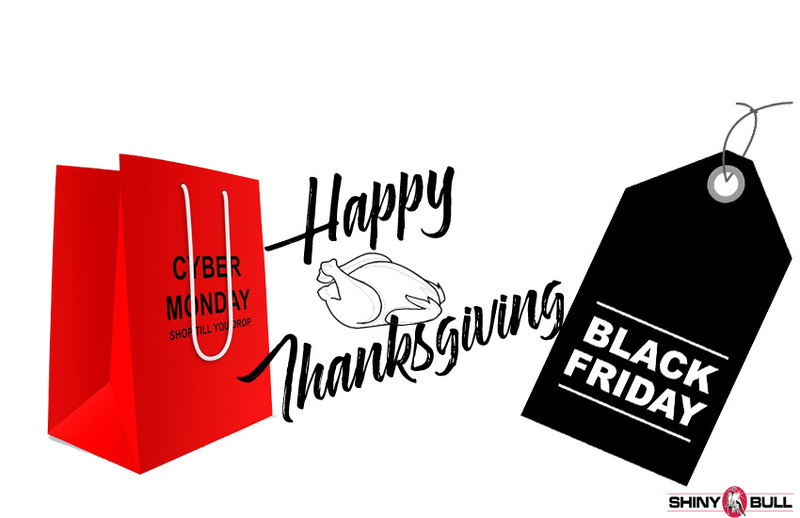 Thanksgiving, Black Friday, Cyber Monday and the coming Holiday Season can help to lift retailers from the declining trend we have seen since October. The third-quarter reporting season is also over, with nearly 97 percent of companies in the S&P 500 having reported. 78 percent of the companies beat analyst expectations. Cyber Monday is an event that can only be rivaled by Black Friday, and Cyber Monday is expected to set new spending records for online shopping in 2018. Not only total sales are high on Cyber Monday, but Cyber Monday is also likely to see a record number of online shoppers this year. Cyber Monday was wild last year, but it jumped nearly 100 percent from 2016 to 2017. This year, the online sale is expected to jump over 10 percent. $7,25 billion in sales will be a new record for online sales in a single day. Trade tensions will come back later on this week as President Donald Trump is planning to meet with Chinese President Xi Jinping at a multilateral Summit in Argentina on Friday and Saturday, with tariff escalation between the world`s largest economies on the line. Investors are waiting for the G20 Summit convening in Buenos Aires on Friday and Saturday. In the mean time, be prepared for what can be the largest online sales day in history; Cyber Monday. The biggest shopping day of the year has been the black friday, but that belong to the past. This has changed in the past few years and its a reason for that. Its no longer a black friday single day, but a week-long affair. Retailers start their Black Friday Sales as early as Thanksgiving Day, Wednesday, and as early as Monday. This is why it is difficult to measure the sale related to only one day; Black Friday. So, if you look at it this way, the combined sales of Thanksgiving Eve, Thanksgiving Day and Black Friday should be included in Black Friday numbers because they are related to each other. Amazon is still on top of the most popular stores for Black Friday. While Amazon continue to rule the online world, WalMart remains undisputed king of the Black Friday. Next on the list is Target, BestBuy, Macys and Kohls to name a few. What people are looking for is Apples iPhones, Macs, iPads and other devices, but Apple is not expected to give away any great deals. Gift cards up to $300 will therefore be given by AT&T, T-Mobile, Verizon and Sprint. Its also expected to see WalMart, BestBuy, Target and Amazon to offer the cheapest TVs, Laptops and Video Games. Google is expected to respond with deals on Nest, Nest Camera, Nest Doorbell and Google assistant. The number of people going to the stores Thanksgiving Day has declined since its peak in 2014. The sales are moving online and Thanksgiving Day last year jumped 18,3 percent YoY in online sales. Online shopping on Black Friday last year jumped 16,9 percent YoY. 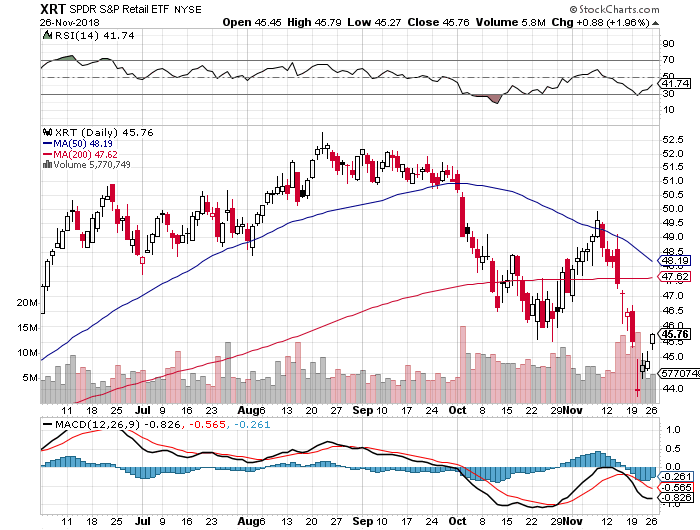 A quick look at XRT Retail ETF tells us a strange story which is the opposite of last year. The value is declining and it seems to have peaked in October this year. I will continue to follow the retailers and their business. Money makes the world go around, and online shopping is taking off. Cyber Monday hit a new record of $6,59 Billion in sales which is up 16,8% from last years $5,64 Billion. Black Friday is close with its $5,03 Billion in sales and also that is up 16,9%. Sales on Smartphones came in at an average orders of $123 on Apple iOS with Google Android close at $110. Adobe predicts this will be the first-ever holiday season to break $100 Billion in online sales. This is impressive. Cyber Monday is the largest U.S online shopping day ever, but take a look at China and Jack Mas Alibaba. The e-commerce giant reported sales of $25,4 Billion in sales earlier this month on Chinas Singles` Day. Wow. Top sellers on Cyber Monday included the Nintendo Switch, Apple AirPods and streaming devices like Google Chromecast and Roku. Smartphones stands for 33,1% of revenue and 47,4% of visits which is a new record. Smartphone revenue grew 32,2% compared to 2016, reaching $1,59 Billion and that is a new all-time high. The holiday season kicks off with Thanksgiving, followed by Black Friday and Cyber Monday. Thanksgiving has been celebrated in the U.S nationally on and off since 1789, after Congress requested a proclamation by George Washington. President Abraham Lincoln proclaimed a national day of «Thanksgiving and Praise to our beneficent Father who dwelleth in the Heavens,» to be celebrated on the last Thursday in November. The «First Thanksgiving» was celebrated by the Pilgrims after their harvest in the New World in October 1621. That was then, but this is now. Time has changed. Now, people spend most of their time thinking what they might need rather than what they already have. Retailers have competed to give consumers the best deal and people kicked off their holiday season to go shopping off and online to snap up a great bargain. This mirroring the U.S consumer confidence. The U.S economy expanded an annualized 3,3% on quarter in the third quarter of 2017. Economic Optimism in the U.S rose 6,6% in 53,6 in November this year. Record low came in at 35,80 in August of 2011. U.S Wages had an all-time high in September of 2017 peaking at 22,23 USD/Hour. You have to wake up before it is too late. Black Friday is not what is used to be. Only a few years ago retailers were crowded with crazy people looking for a great deal. People still get great deals but some of them have already changed their behaviour. According to Shoppertrak, foot traffic to U.S stores has fallen each year on Black Friday. We can clearly see a shift in the market, and reasons are many. You can see it happening right in front of your eyes. Right now. Retailers are struggling and I have talked about if for years. Worst of all; this is just the beginning, and it is understandable. It is a natural thing. Retailer chains said they will close about 7,000 stores and many of them are filing for bankruptcy. Many of them have too much debt and too many shops in the chain. On top of that we know that consumers wants to buy online. Online retail activity are ten times bigger today than it was in 2004, and last year, on-line sales on Black Friday was around $2 billion, according to ComScore. Salesforce predicts Black Friday will be much bigger than Cyber Monday in online sales. I take all the research on Black Friday as a pinch of salt, because retailers are destroying the day by starting the sale a week before the big day. Some call it Black Week, some call it Black Weekend and that will weaken the most important day Black Friday. That too makes the measure of the day a bit wrong. Black Friday is not only on Friday but sometimes for a whole week. So, if you missed out on your shopping on Black Friday you still have the change to make a great deal on Cyber Monday. The deals have already started and you can now buy for a discounted price at stores like Walmart, Amazon, Best Buy or Target. 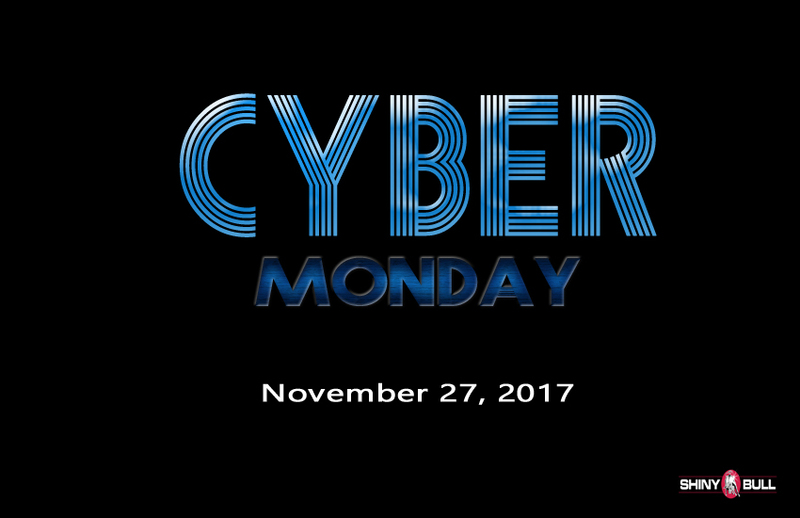 Cyber Monday is the online equivalent to Black Friday and the start is early on Monday November 27, 2017. This is the day you can get deep discounts on Samsung, LG, Sharp, HP and Dell. You can also get a cheap PS4 slim and Xbox One S, Nintendo and iPhone X to name a few. 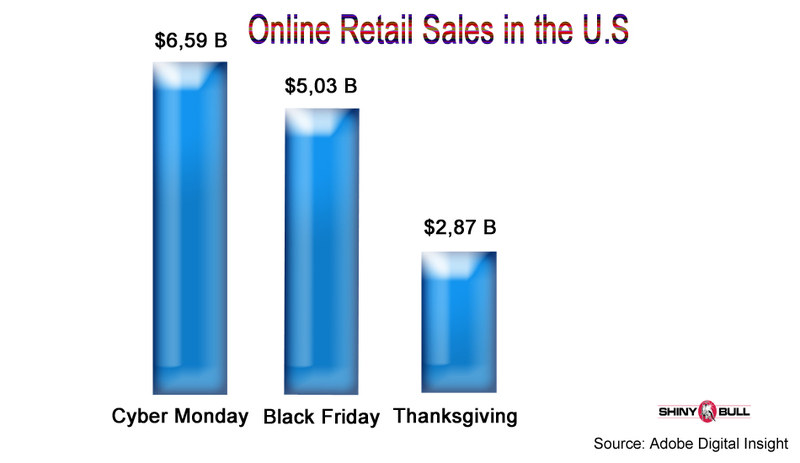 It remains to see Cyber Monday exceeds Black Friday in on-line sales. We can see a clear picture here. The busiest day of the year, Black Friday is declining while online retailers see sales are jumping. Black Friday sales fall nearly 11% from last year. How is it gonna be today; on Cyber Monday? Some shops starts the sale the day before Black Friday and that can be a reason, but if you look at Thanksgiving, it also dropped this year by nearly 11%. Other retailers are offering bargains long before Thanksgiving and that can be another reason to the decline. The biggest reason I think, is the increased online shopping which jumped 14,3% on Friday from last year. Many people doesn`t want to participate in the wild shopping crowds and prefer rather to shop online than in stores. It`s Cyber Monday today and the term was created by marketing companies to persuade people to shop online. I wrote about both Black Friday and Cyber Monday in 2013, but nobody knew what it was. Now, many knows what Black Friday is but still today no one know what Cyber Monday is. It`s probably to early for people in Europe. Cyber Monday made its debut on November 28, 2005, and quickly became one of the biggest online shopping days of the year. The trend is driving serious online discounts and promotions on Cyber Monday. Thanksgiving, Black Friday and Cyber Monday means busy days for Amazon that revealed the latest prototype of drones. Google revealed that it wants to launch a drone service in 2017, while Walmart said they are now starting drone testing. What about FedEx, UPS and DHL?